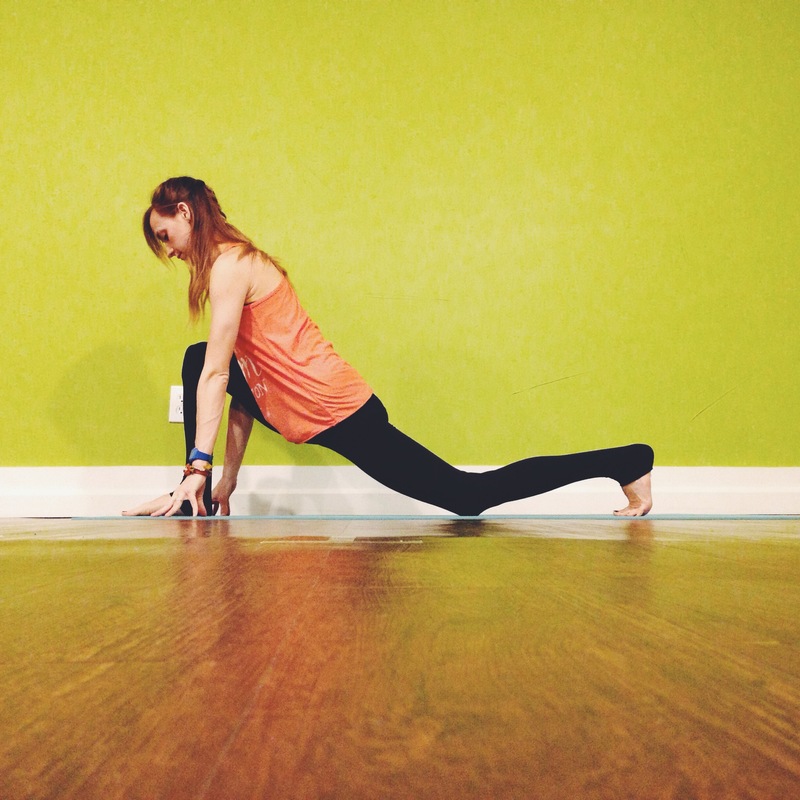 Your hip joints are one area that will get a lot of attention in your yoga practice. The more open and stable your hips, the better your sense of balance and the smoother your transitions. Your hips are also directly related to nerve endings and energetic placement of your emotions. Whether you are having a great day, enduring a frustrating situation, or a moment of stress on your morning drive — your emotional energy is sent out into the joints where it builds tension. A large chunk of that emotional stress hits the hip joints, creating that sense of tightness. When we “open up” the hips, we recreate the space we need in the joint to release that energy so we can open up to whatever life hands us next. 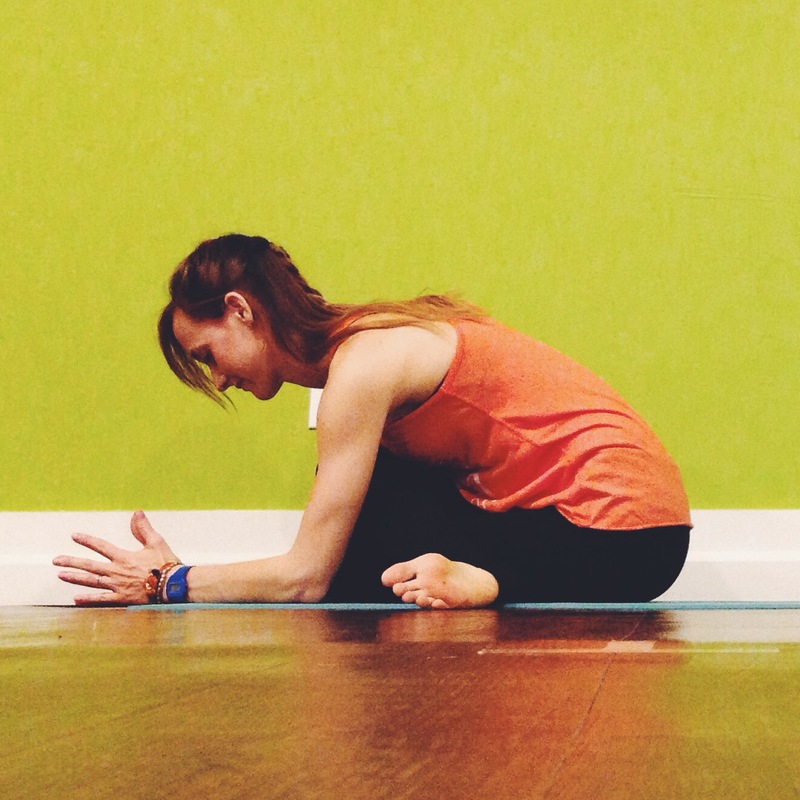 That’s why opening the hips happens so much in our practice, because we constantly need that release. We need those moments to recreate space, to pull our intentions in, and take a deep breath before we move into whatever is ahead in the next moment. Without this release, we will build up the tension which can lead to emotional confusion, difficulty thinking clearly, and physical problems (such as lack of flexibility and injury). With all of this said, it is also very important to be gentle with yourself when taking a hip focused class. 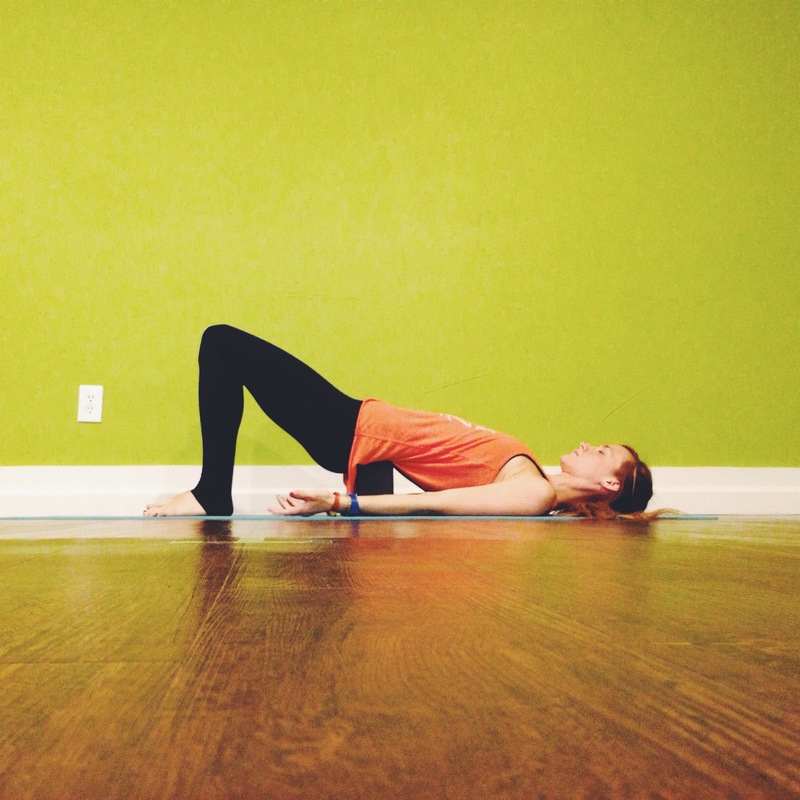 I encourage you as you move through this yin sequence to take it easy. Really listen to the sensations that you encounter physically and mentally. 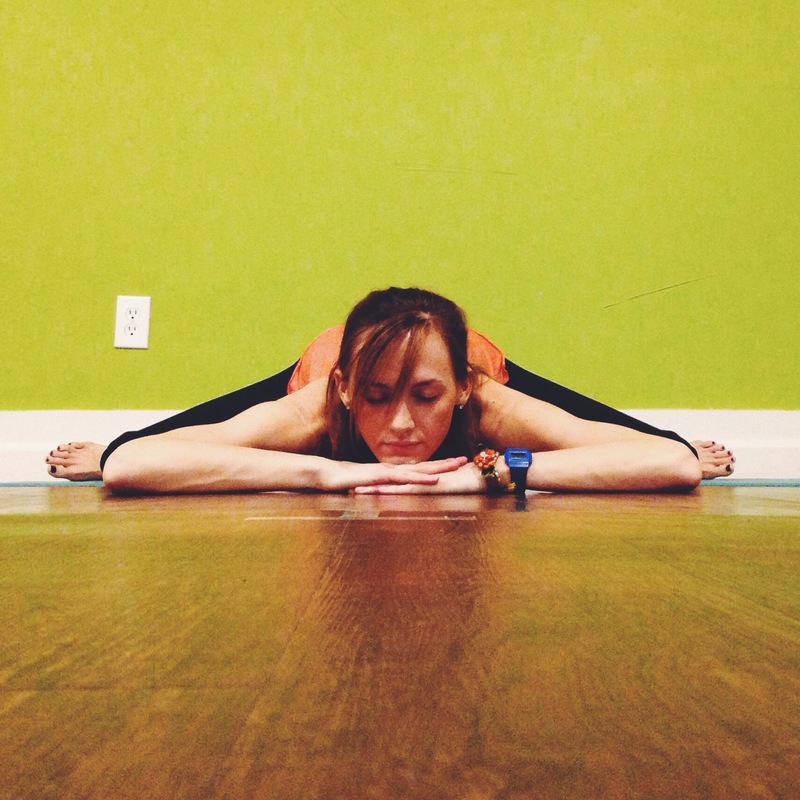 You have time in each pose to determine whether to go deeper or to back off. At no point should there be any pain. 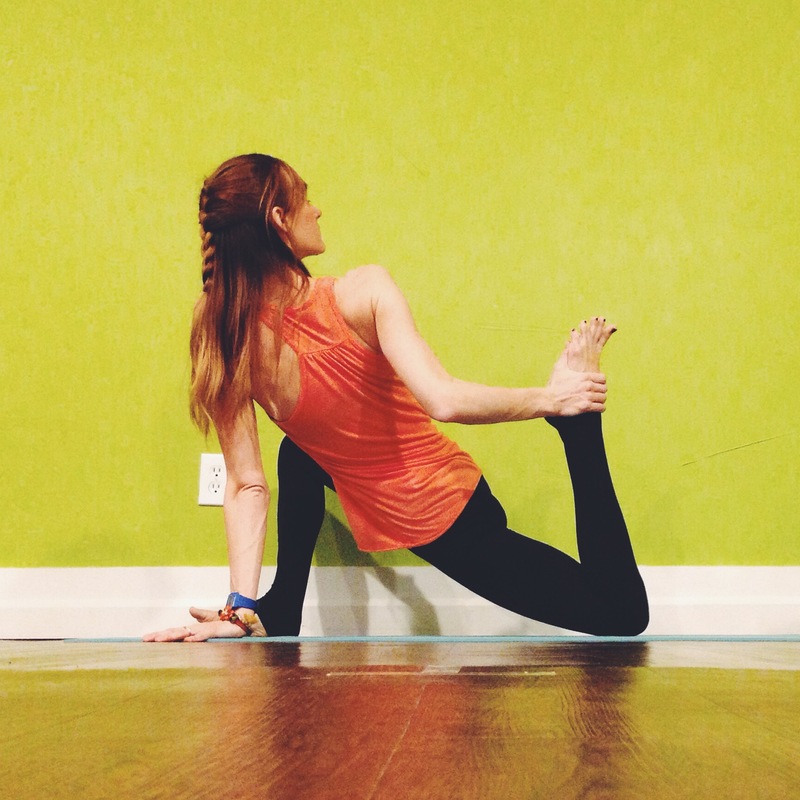 Yes, your hips (especially if there is a lot of tension) will experience a lot of sensation in these poses — but there should not be any pain. 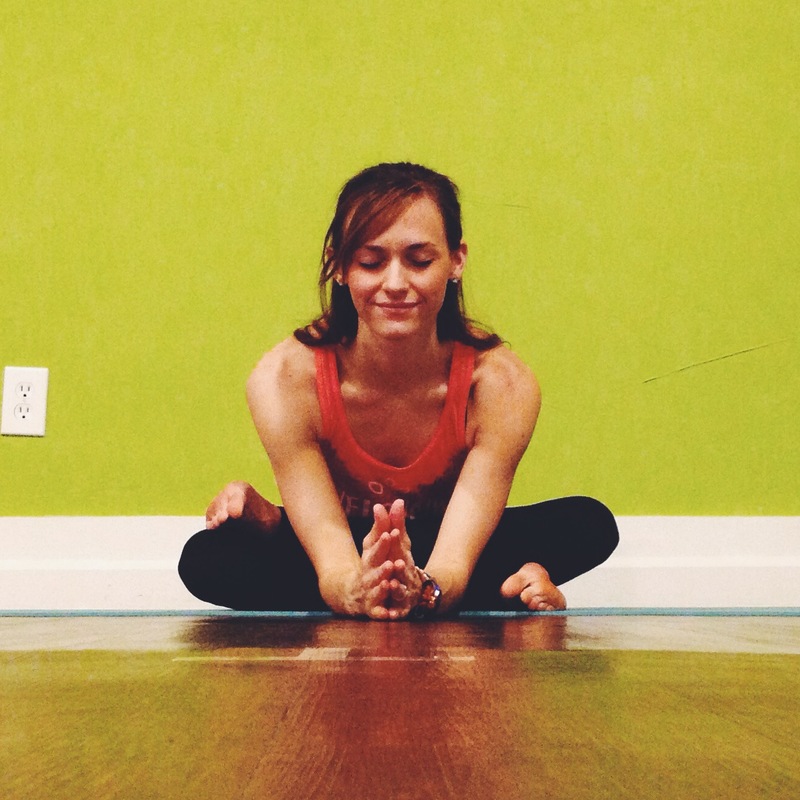 Each pose has a link to further instruction and modifications for these poses. The practice will take you about 60-75 minutes. Make sure you have some time so that you will be able to completely relax and not worry about the next thing on your to do list. This is a great practice to start or end your day. If you would like a playlist for this sequence, mine is at the bottom of the post. There is also a link to my Spotify profile for other playlists. This pose can be really difficult. If it’s too much for you today, please just stay in the wide knee child’s pose. 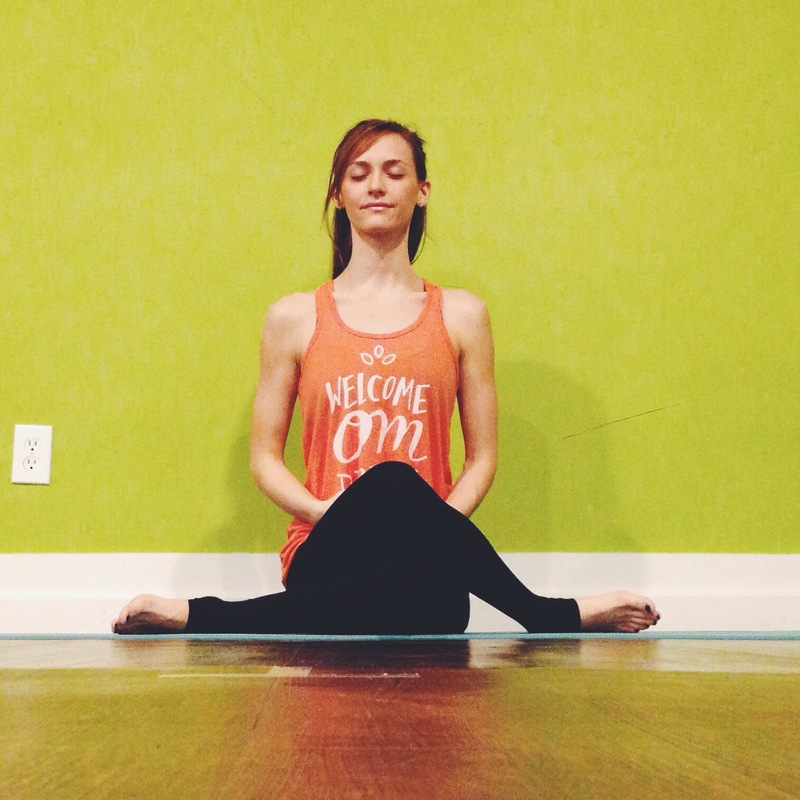 Try to keep the hips centered in between the knees. You may stay lifted on your hands, lower onto your forearms/bolster, or come down to your belly. Just make sure you can stay wherever you eventually land in the pose for several minutes without being “tense”. 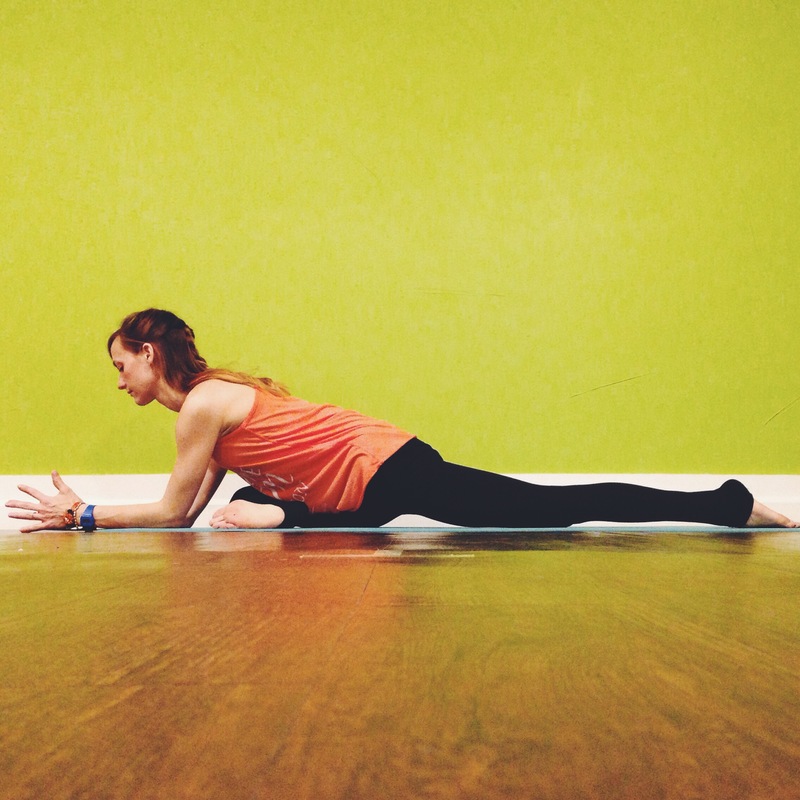 If you find yourself fighting this pose, come out of it a step and find a place where your mind and body are able to breathe and focus through the sensation. See the link for more options on this one. 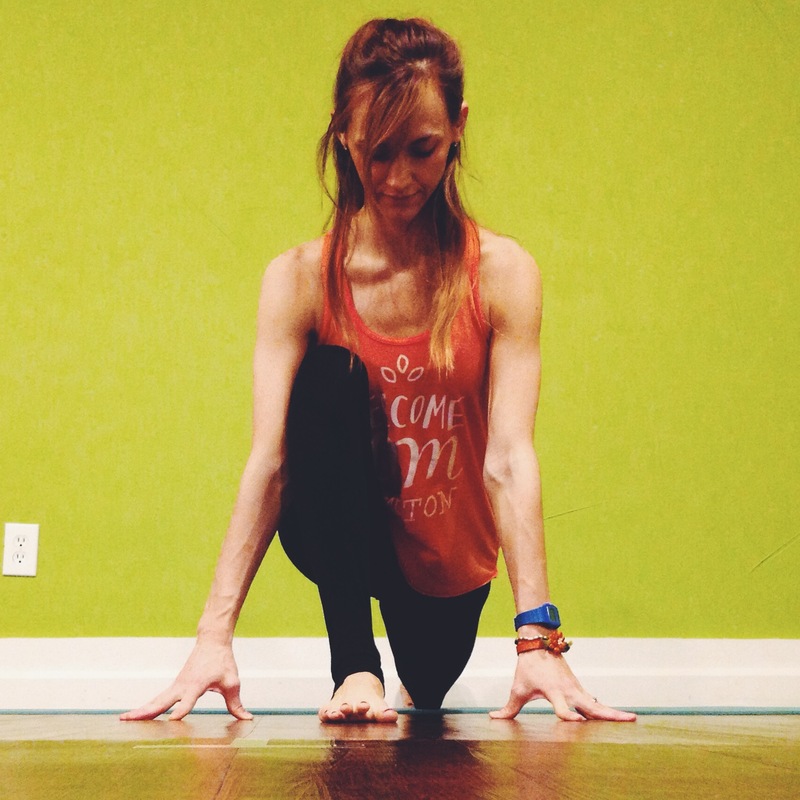 If it’s difficult to “stack” the knees, you can keep the bottom leg extended. 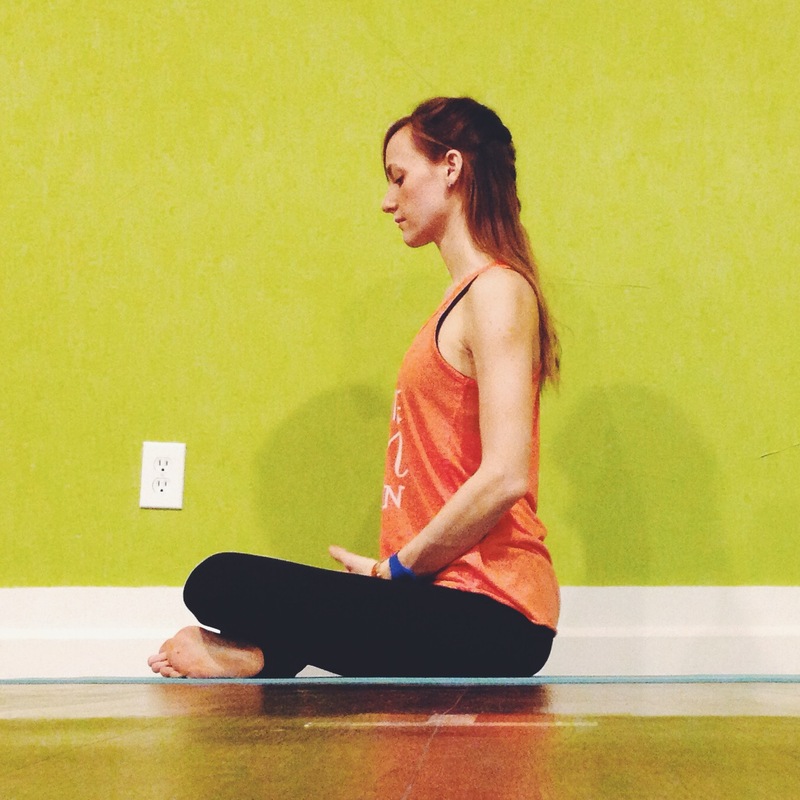 Move onto the next pose after you complete the first side. 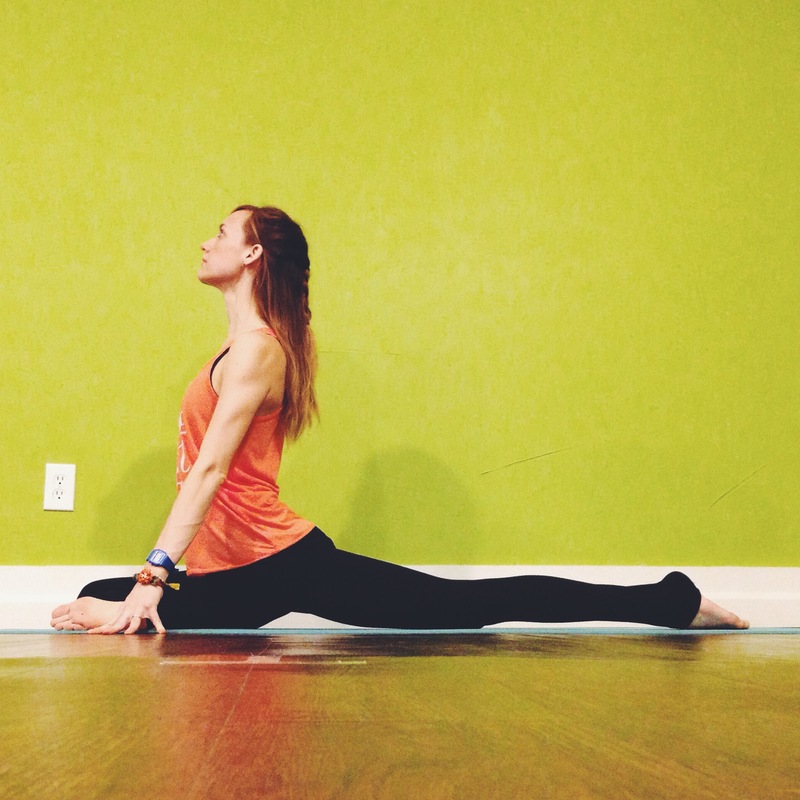 From Shoelace, take your top leg back and come into your pigeon pose. 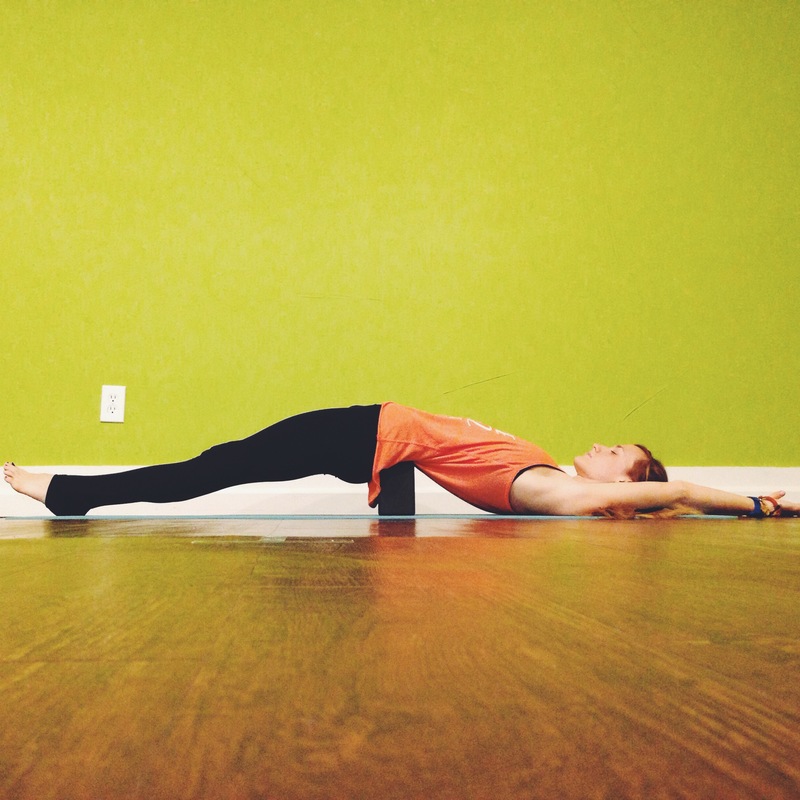 This pose can be done on your back if it’s too much in a forward fold. See this option here. 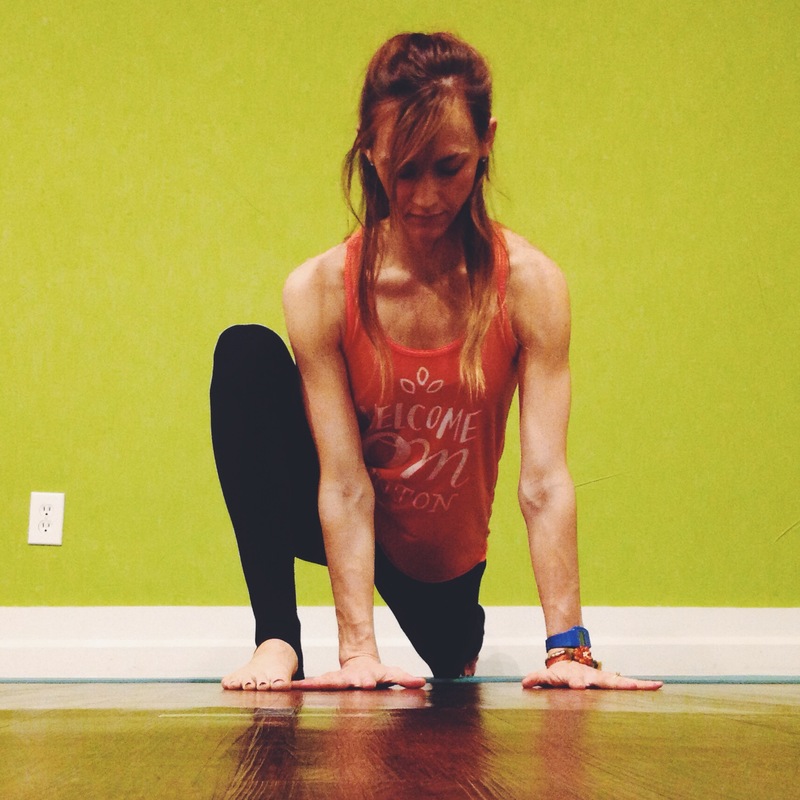 Take that extended leg (from pigeon), pull it to the top of the mat and stack your ankle (keeping foot flexed) on top of the already situated front leg. Bring that front leg parallel to the top of the mat if it is at an angle. If you are unable to stack the legs, you can cross the top leg in front of the bottom onto the mat. Stay sitting upright if it is enough sensation in your hips, knees, ankles. If you feel good take a long inhale and use your exhale to fold forward to your hands, forearms, or forehead to the mat and arms extended. 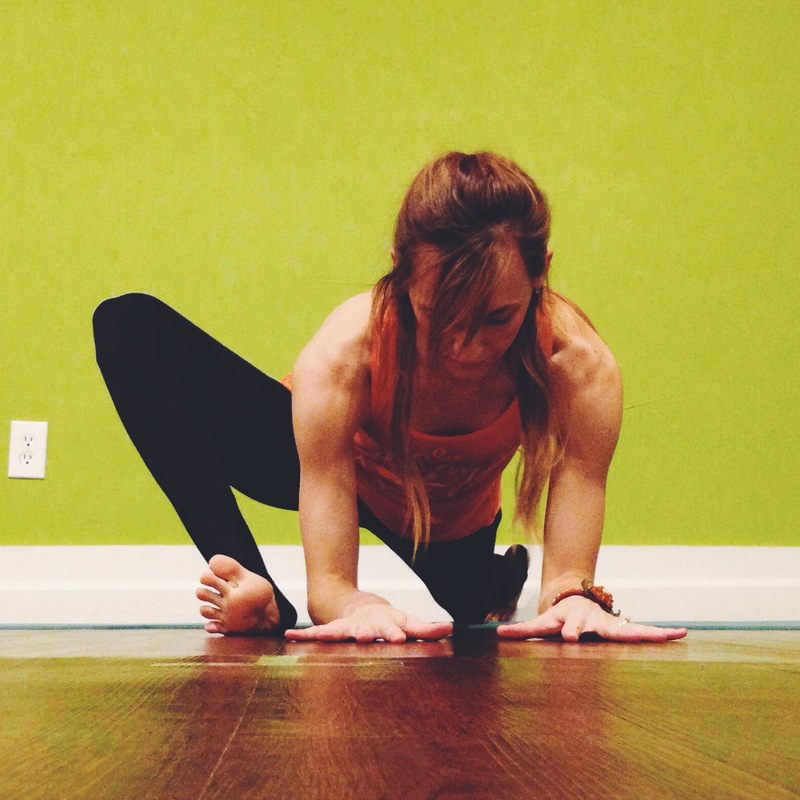 After this pose, make your way back to Shoelace on the opposite side. 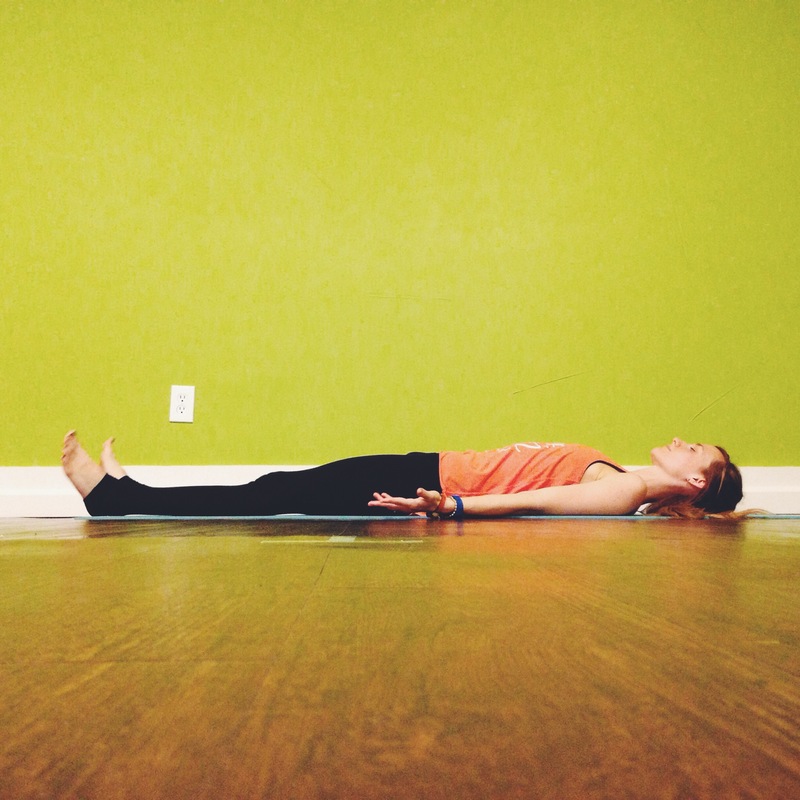 After you complete poses #4-6, come into a Table Top position or Down Dog. Pull your right leg through into your Baby Dragon. Feel free to stay in this variation for the full 7 minutes of dragons or you may gradually move deeper as the minutes pass. 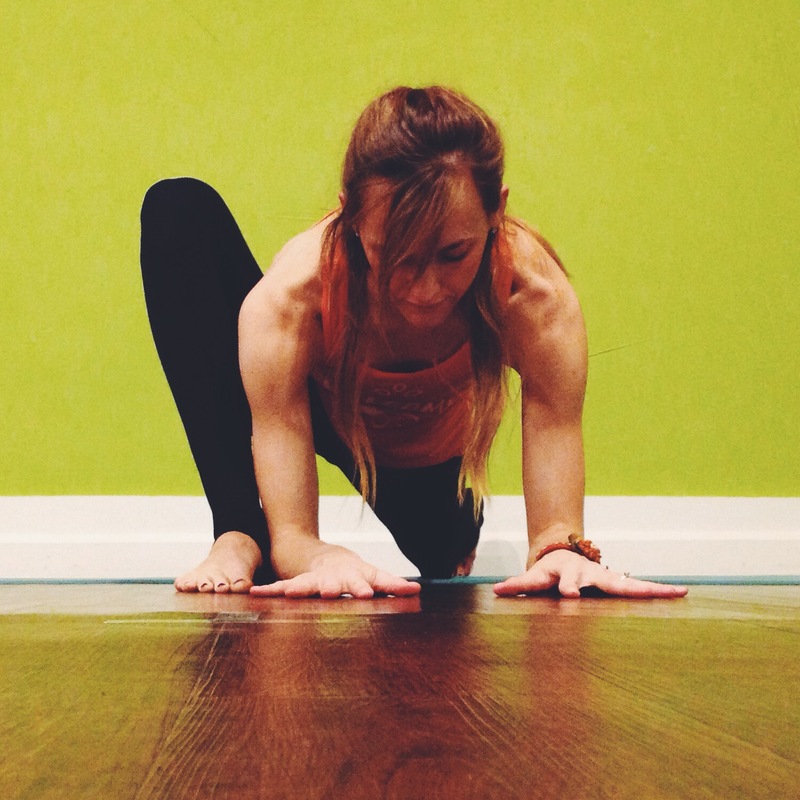 To counter all of the forward folds, take a few moments in your bridge pose. 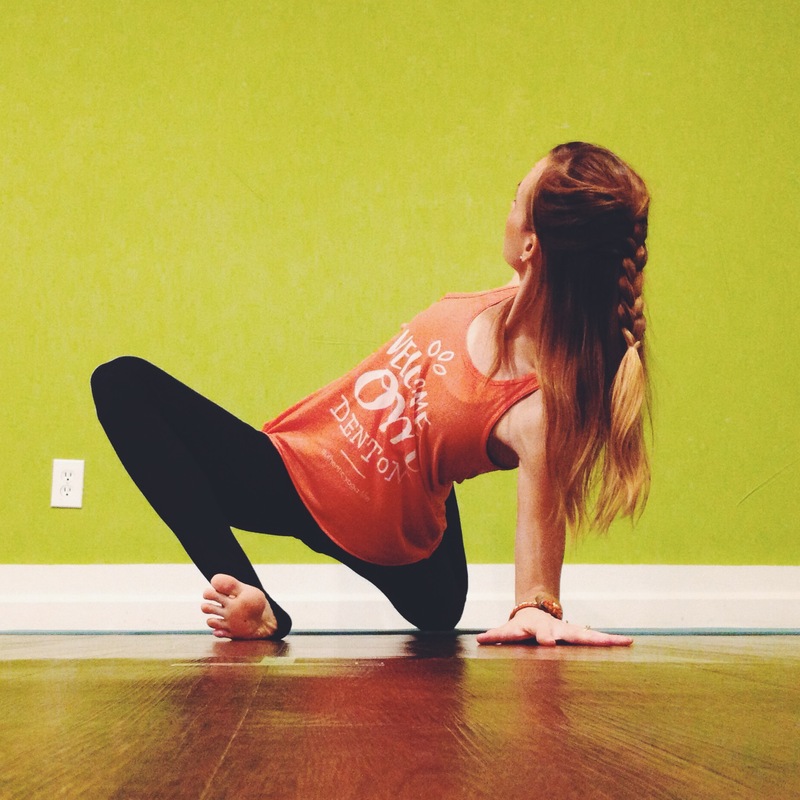 Notice the space, the freedom you have created throughout the hip joints. Ahh! 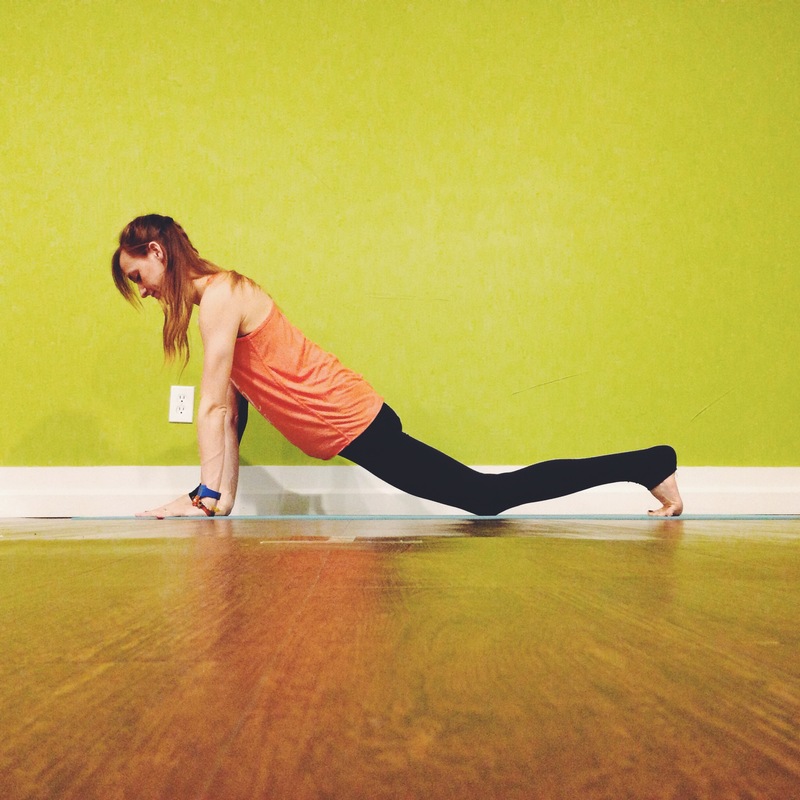 Use a yoga block or something similar you have around the house. Don’t skip this step. Give yourself these minutes to soak up and receive the space you created with this deep practice. Allow every muscle, every thought to fade away into the gravity of the pose. Let your breath to return to its natural pattern, your eyes heavy, and your heart is light. All of my playlists are available on Spotify here. Thank you so much for sharing such a nice information. I really enjoy reading your blog. so helpful and i am going to use your playlists! thank you. Thanks so much for this, Nancy! I look forward to checking out your playlists too! Thank you for this lovely sequence and playlist. Beautiful. Hey Julia! Thanks for coming by! I’ll have more sequences up soon so come by again in the next few weeks! Really nice sequence thanks. Very well explained. Using it tonight! Hey Scott! Thanks for stopping by. I’ll have more sequences up in the coming weeks so come by again soon! I was in SO much pain this morning, everything was so tight. I knew I needed to find something different to really stretch those tight side/back/hip muscles. Smart phones + pinterest are amazing things. In under a minute, I had a good looking sequence to try out – the pictures and descriptions seemed easy enough to figure out. The first part is similar to what I usually work through, but getting into winged dragon and twisted dragon felt amazing in getting out that tightness and pain. Speaking of pain. This is an interesting thing when it comes to practicing yoga, or other elements of exercise and therapy with fibromyalgia. Supposedly, you shouldn’t experience “pain”. I’m going to say that I’m already experiencing pain. I’m never not experiencing pain. Having knowledge about what kind of pain I’m experiencing is more crucial. Paying attention to what the pain is telling me is important – when I say, that feels amazing, I’m still in pain, it’s just a different kind. It’s pain releasing. It’s pain telling me that the floor is hard against my knee, that can be adjusted. I don’t know how else to say to know what kind of pain you can handle, what is good, and knowing you aren’t injuring yourself further or bringing on a slew of other symptoms from your oversensitive body, other than to practice and get to know yourself. Be mindful of all the sensations and what they tell you, pain among them. Do you have any tips on how to find balance within your pain? How you know what’s good to work through, and when you should stop? Do you suffer from chronically tight hips and side muscles? 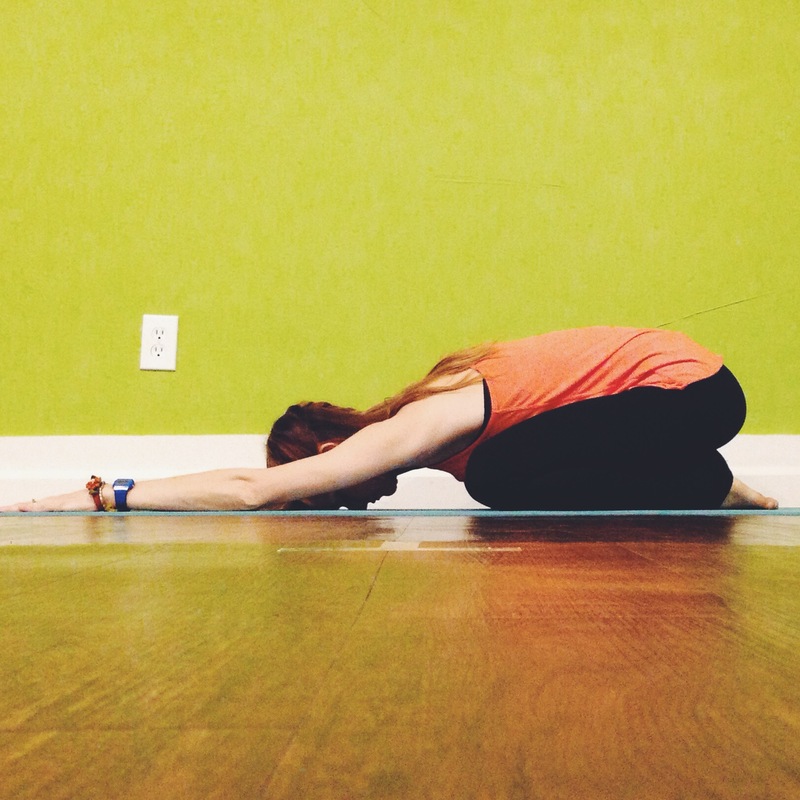 Have you tried a stretch or yoga sequence that helps? Exactly what I needed for the class I am subbing today. I don’t usually teach Yin, so thank you for sharing. I feel much more confident teaching tonight. Was there suppose to be a #4 in this sequence? The list goes from 3. Shoelace to 5. Swan. Just wondering!! Thanks, so love your yoga and am so happy to be learning from you right from my home. What a privilege.